Stanmore is situated 15 minutes from Ladybirdz Mobile Beauty Therapy in the North West area of London. Stanmore is situated 15 minutes from Ladybirdz Mobile Beauty Therapy in the North West area of London. It is also where the jubilee line ends at its most northerly point. Stanmore tube station opened in 1932. The station is in travel card zone 5 and has a car park with 450 spaces. Easily accessible from the M25 it is close to Watford with its excellent shopping facilities within the Harliquin centre, Queensbury, Kingsbury with its busy buzzy Indian restaurants and Harrow that has 2 shopping centres, St Georges and St Anns. 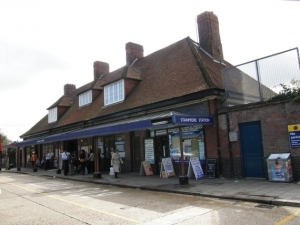 Stanmore has a number of shops, restaurants, beauty salons, nail bars and pubs, including a large Sainsbury and Lidl. It comes under the HA7 postcode and is approximately 10 miles from central London. Stanmore hill at 152 metres is one of the highest land points in London. Stanmore college, situated on elm park not only caters for a-levels but also adult education offering over 500 courses to students aged anywhere from 19 to 99. Stanmore is home to the Royal National Orthopedic Hospital which is well known for its spinal unit. It’s a lovely place to live that is easy to travel to central London from. Ladybirdz offers its full treatment list in Stanmore, surrounding areas and the whole of HA7. With a high volume of its current clients in Stanmore and popular treatments including manicures, pedicures, eyebrow shaping, eyelash tinting, massage, pamper parties and spray tanning. Don’t hesitate to call as I will travel to you so you can relax and enjoy your pamper treatment in the comfort of your own home so why not call Ladybirdz now! To book your treatment or package with Ladybirdz, discuss what you require or book a gift voucher please give me a call on 07749640909. I’ll be happy to offer advice to you, or discuss your personal requirements in further detail.